On the 2nd (Thu), take in the architecture and atmosphere at Malaga Cathedral and then contemplate the long history of Castillo de Gibralfaro. 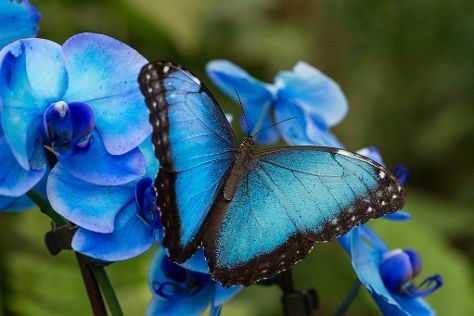 On the 3rd (Fri), you'll have a packed day of sightseeing: make a trip to Balcon de Europa, then Head underground at Fundación Cueva de Nerja, then walk around Parque De La Paloma, and finally look for all kinds of wild species at Butterfly Park of Benalmadena. To find reviews, photos, more things to do, and other tourist information, you can read our Malaga sightseeing app . London, UK to Malaga is an approximately 5.5-hour flight. You can also do a combination of train and flight; or take a train. The time zone changes from Greenwich Mean Time to Central European Time, which is usually a 1 hour difference. Expect somewhat warmer temperatures when traveling from London in May; daily highs in Malaga reach 29°C and lows reach 17°C. Cap off your sightseeing on the 4th (Sat) early enough to catch the train to Cordoba. Kick off your visit on the 5th (Sun): get engrossed in the history at Palacio de Viana, make a trip to Patios de Cordoba, snap pictures at Roman Bridge, then wander the streets of Jewish Quarter (Juderia), and finally don't miss a visit to Historic Centre of Cordoba. To see traveler tips, where to stay, and other tourist information, read Cordoba road trip planning website . You can take a train from Malaga to Cordoba in 1.5 hours. Other options are to drive; or take a bus. When traveling from Malaga in May, plan for somewhat warmer days and a bit cooler nights in Cordoba: temperatures range from 34°C by day to 14°C at night. Finish up your sightseeing early on the 5th (Sun) so you can catch the train to Ronda. Kick off your visit on the 6th (Mon): wander the streets of Old City, then take some stellar pictures from Puente Nuevo, and then make a trip to Plaza de Toros. 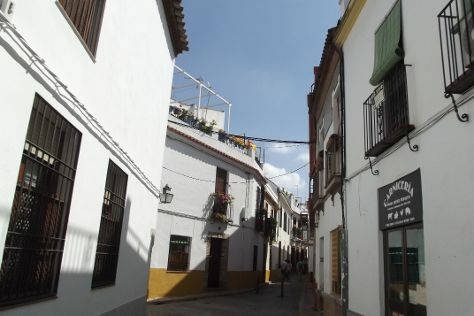 To find other places to visit, maps, more things to do, and tourist information, read Ronda online attractions planner . 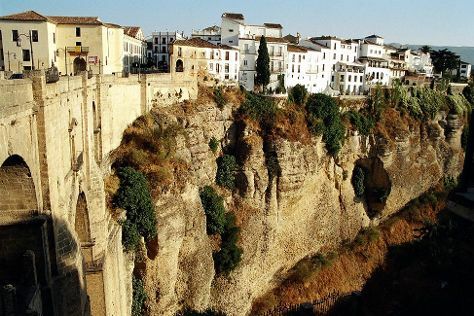 You can take a train from Cordoba to Ronda in 2 hours. Another option is to drive. Expect a daytime high around 31°C in May, and nighttime lows around 15°C. Wrap up your sightseeing on the 6th (Mon) early enough to drive to Almeria. Almería is a city in Andalusia, Spain, situated in the southeast of Spain on the Mediterranean Sea. Start off your visit on the 7th (Tue): contemplate the long history of Conjunto Monumental de La Alcazaba, kick back and relax at Playa Cabo De Gata, and then look for all kinds of wild species at Cabo de Gata - Nijar Natural Park. For where to stay and tourist information, read our Almeria day trip planner . Drive from Ronda to Almeria in 3.5 hours. Alternatively, you can take a train; or do a combination of train and flight. Traveling from Ronda in May, plan for a bit warmer nights in Almeria, with lows around 19°C. Finish your sightseeing early on the 7th (Tue) to allow enough time to travel back home.